Three women from Bottesford helping with the potato harvest in 1954, filling and lifting the heavy sacks of the new crop. 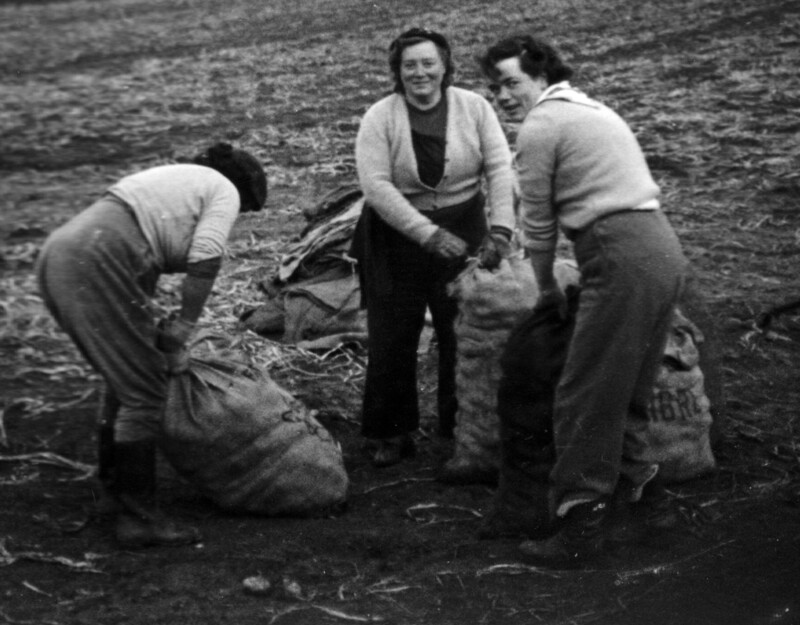 A large collection of photographs that includes two sets of pictures of farming in 1948 and 1954. Other photographs show family groups, social gatherings and individuals in and around Bottesford including pre-WW2 pictures of Mr Goodson’s father and other members of the family.